"My John Greenwood bow is my favorite bow. It feels great and draws a rich and focused tone from my violin." John Greenwood, and I do!" 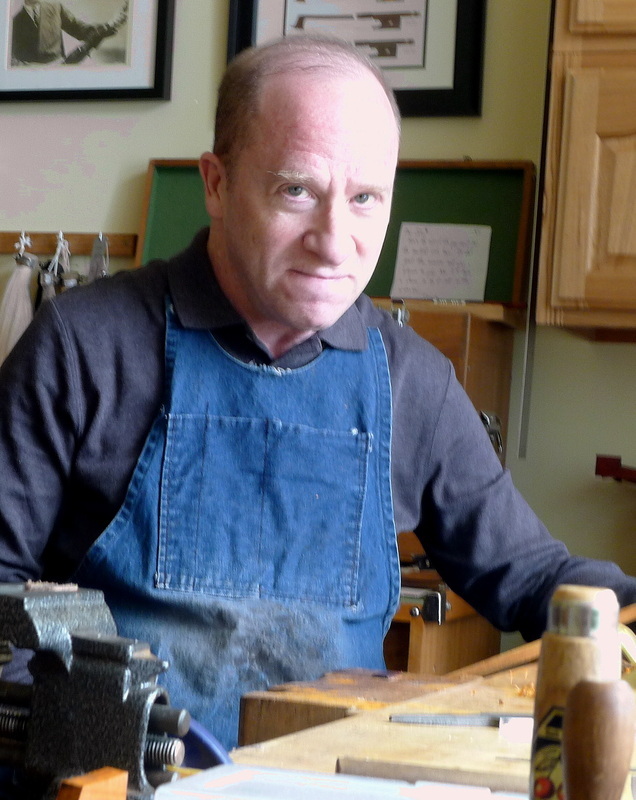 John Greenwood makes master quality handmade bows for string instruments. Based in San Francisco, John's bows are played by more than 25 members of the San Francisco Symphony, Opera, and Ballet, plus numerous musicians in the Metropolitan Opera Orchestra, Orchestra of St. Luke's, Atlanta Symphony, New York City Ballet, and Orpheus Chamber Orchestra. In addition, a good number of concert soloists, concertmasters, and principal players play with Greenwood bows -- many exclusively. When not making new bows, John also maintains a busy practice rehairing, repairing, and in bow restoration. To date, John has personally rehaired over 12,000 bows! He is routinely entrusted to work on rare and valuable bows made by the finest makers. John's loyal repeat customers are testament to the consistent high quality of his work. Each Greenwood bow is a unique piece, meticulously crafted one at a time. John is fortunate to have assembled a substantial supply of premium quality pernambuco wood for fashioning his sticks. Even more than with violin making, exceptional wood choice is crucial to making a concert quality bow. The select materials found in a Greenwood bow consistently rival that used by the great French masters. It's gratifying that so many demanding players continue to put aside famous French and other "big name" bows after acquiring a Greenwood bow. Experience shows that antique bows are typically priced far more for their value as rare collectibles than for their perfection as playing tools. Greenwood bows continuously meet and exceed the challenge when matched up against the work of the most prestigious makers, and at a modest fraction of the price. John is an advanced professional caliber string player. With every bow that he makes, John actively employs his playing skills to optimize subtle elements of "playability" and tonal potential. His fundamental goal is to create not only an object of refined elegance, but to craft a true "player's bow." ​John received comprehensive training in the traditional French handmade method of bowmaking from renowned French master, Jean Grunberger and as a 5 time participant in the Oberlin Bowmaker's Workshop. Perhaps his greatest teachers though are the countless extraordinary bows that John has the regular privilege to work on and to systematically analyze and evaluate. Please ring #24 at main entrance.